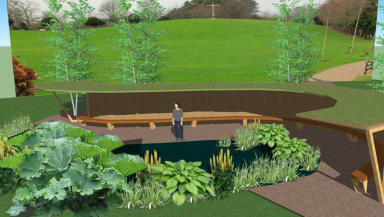 Parents will be asked to choose between the designs for the garden at the Edinburgh crematorium. 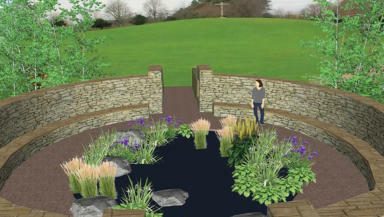 Four designs have been unveiled for a memorial to the victims of the baby ashes scandal at Mortonhall. The memorial garden will be built at the Edinburgh crematorium and is to be one of two erected in the city. 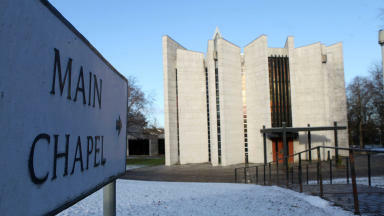 For more than four decades the ashes of stillborn and premature babies were not offered to parents at the crematorium. 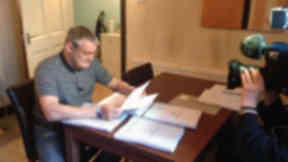 Since the practices came to light in 2012, affected parents have been working with the council. 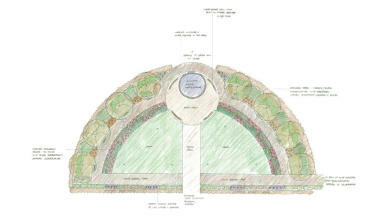 They will now have the choice of four designs for the memorial at Mortonhall. A second memorial will be built elsewhere in the city so that parents who do not want to return to the crematorium have somewhere to go and grieve. A range of locations have been suggested and are being narrowed down. Parents feel it is important there are two places to go as some do not want to return to the crematorium. Willie Reid, whose daughter Donna was cremated at Mortonhall in 1988 thought he would not be able to go back. He said: "Initially I thought it’s a place I never ever want to go back to. On reflection, that was the last place I had Donna in my arms and Mortonhall seems the right and proper place for the memorial to be." Work on the memorial garden will start in the spring and the council are hopeful it will be finished by the autumn. Parents have been involved at every step of the consultation process, something which has been an important part of the process. Dorothy Maitland, who uncovered the practices in her former role at Sands Lothian, said it has helped parents deal with the scandal. She said: "It has helped people just to see the plans go forward. I think it’s been very important how quickly it’s happened – for that I’m very thankful. We have been very involved and that’s been very important." The designs will go before a full meeting of the City of Edinburgh Council next week before parents decide which one will be built. 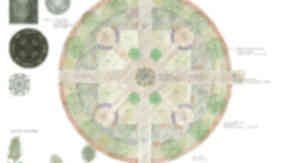 Chief executive of the council Sue Bruce said: "We now have potential memorial designs and we are asking the parents to consider which ones they would like us to take forward. We want to make sure the designs reflect their wishes and I would ask families to let us know their thoughts. "We will continue our work on the group to ensure that nothing like this can happen again and that the highest possible standards are adhered to at Mortonhall."